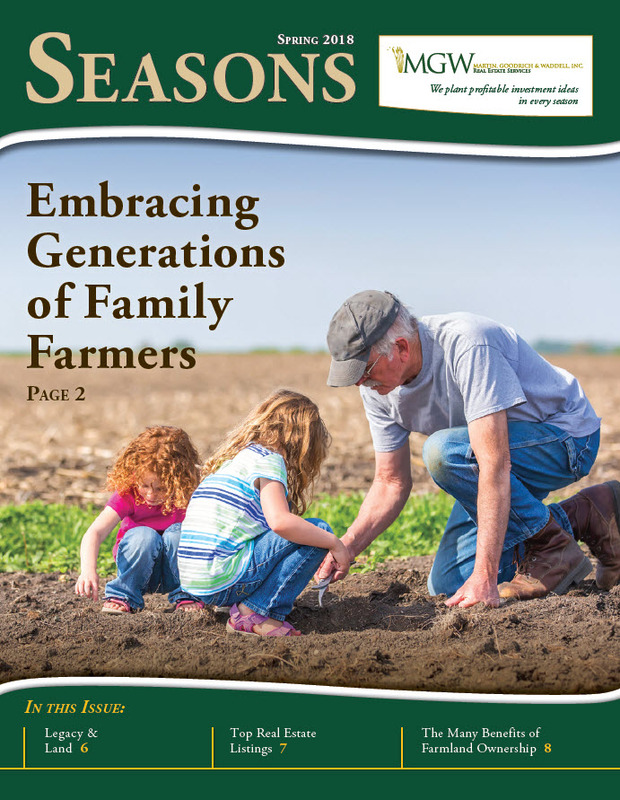 Embracing Generations of Family Farmers – Family farms are a unique institution, continuing through time in a world where considerations of hard work, long-term thinking and commitment are often sparse. 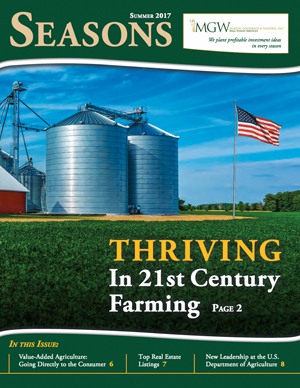 Families in agriculture have long provided a steady backbone to rural America, serving as stewards of our natural resources and taking care of the neighbors and communities in which they live. 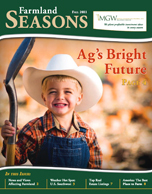 Because of their dedication to preserving farm operations, farm families are very emotionally close to their way of life and to the land on which they live. 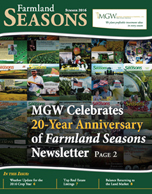 Many see themselves as temporary stewards of their farmland, managing it for future generations, just as their great-great-grandfather might have done for them. 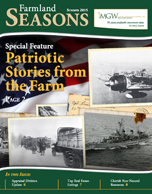 Special Feature – Patriotic Stories from the Farm – It’s mid-summer. A time when we remember those throughout history who served so bravely to keep us free. In fact, 2015 marks 70 years since the end of World War II, a war that required great commitment from our entire nation. To prevail, everyone had a vital role to play. Farmers grew the food to fuel our troops, women joined men in building our war machine, and society as a whole worked together to give the best possible support for those fighting. 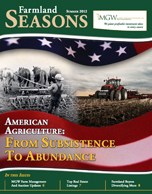 In honor of this anniversary, we share the following stories with you—stories about two men who grew up on the farm, went to the war, and made agriculture their career. 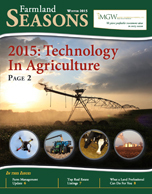 2015: Technology in Agriculture – As we’ve mentioned in previous issues of Seasons, this world of ours continues being in a state of transition. 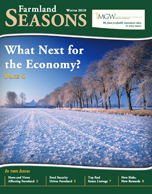 As we enter 2015, global changes have created a new reality of $2 per gallon gasoline, continued high food prices, and finally the real possibility of rise in interest rates. 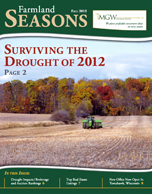 Im being asked now more than ever, “How do all of these changes affect me and my farmland investment?”. 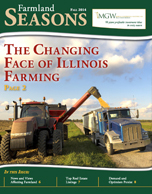 The Changing Face of Illinois Farming – As we outlined in our last edition of Seasons, this year’s binbuster crop will have many impacts on the U.S. land market. 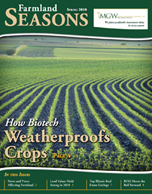 Throughout the Corn Belt, sluggish corn and soybean prices are creating opportunities far and wide for livestock farmers and ethanol producers, and it may usher in a new era of buying opportunities for growers and investors. 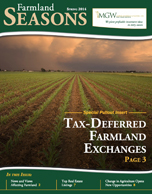 Tax-Deferred Farmland Exchanges – Expectations were high on auction day, and a spirited crowd of 250 attendees did not disappoint. 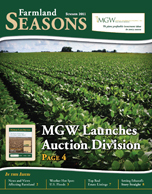 The final drop of the gavel sold 1,431 acres of highly productive cropland in Macomb, Illinois to close out the 2013 auction season. The $16,800,000 sale was purchased by 12 different buyers who were among the 58 registered bidders competing at the auction. 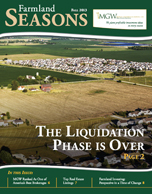 The Liquidation Phase Is Over – As a result of the subprime mortgage crisis, a significant part of our focus in recent years has been on assisting banks, developers and private investors in the difficult task of selling distressed transitional properties. Properties termed “transitional” are those that can typically be developed by an “end user” sometime in the next 5 to 15 years. 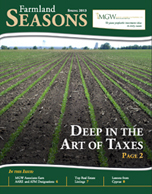 Deep in the Art of Taxes – As lilies, daffodils and tulips poke up out of the bare ground and rain replaces snow as a welcome form of precipitation, we look forward to a new planting season. Unfortunately, March and April also mean tax season. As you wrap up your taxes for 2012, it’s also time to look ahead and see what tax planning you should begin now to help ease your future tax burden. 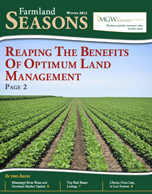 Reaping the Benefits of Optimum Land Management – We’re always looking for ways to make your land investments more valuable and earn higher returns. 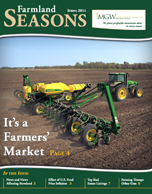 Fortunately, farmland values have remained strong and have historically shown good returns. 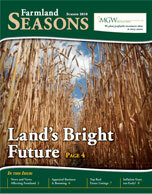 But there are other ways to improve on your farmland investment. 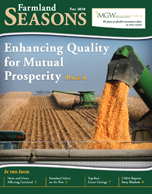 Over the years, we’ve found one of the most cost-effective ways to earn a higher return from your farmland is to invest in land improvements. Martin, Goodrich & Waddell Inc.